Improved Arlanda from whom, because my current Orbx Arlanda(Stockholm) looked nothing like this? No enhancements used at the time of this pictorial, just suggest dawn lighting. Thank you for that reply, but I am no nearer knowing which developer's scenery is this. Is it P3D, is XP, or FSX? Is it Orbx's airport or is this Arlanda in Finland? Nice way to show the Airbus, my fav ride to Orlando, along with the 737-700 that Southwest used on that route when I flew there on my own... I also loved flying Delta's 757 Non Stop to Orlando. 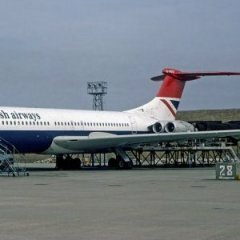 Finally I flew American there First Class in 1993 using the air miles I earned as a business traveler, I forgot what equipment they used, I believe one was an MD 80 though. Thank you too for that, but my Orbx Arlanda Stockholm where all those aircraft are parked in the 1st photo looks nothing like it despite the winter weather season selection, hence wanted clarification, exactly which Arlanda it is, and the Finnair Airbus had me wondering if there was another Arlanda. Nice shots, thanks for sharing. I always liked the airport but, the improved textures and added airport clutter, amongst the other improvements that came with the update have made it a real pleasure to fly into. If only there was a decent photoscenery package of Sweden to go with it. Landing at an airport surrounded by landclass scenery is impossible for me.